Sunday saw the second re-creation of the legendary Jazz at the Philharmonic concerts, started in 1944 by producer Norman Granz, at Newport Jazz Club. 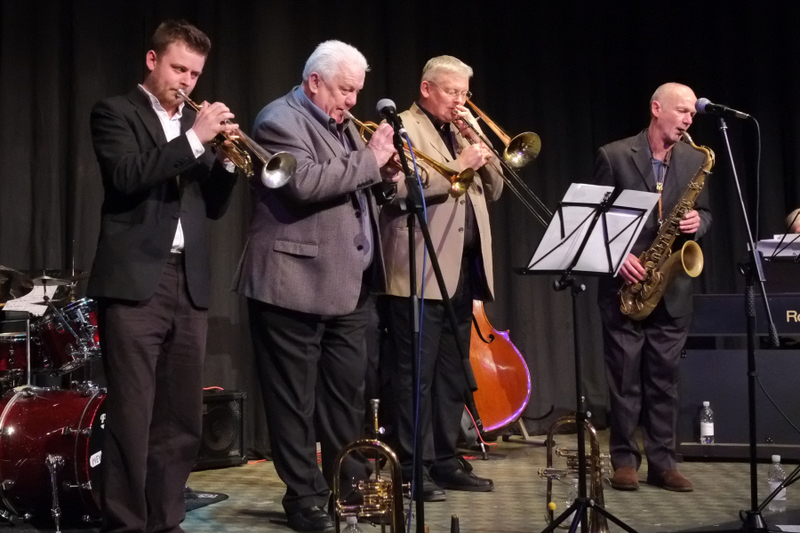 Led again by Bruce Adams (trumpet) but this time with support from Undy Urquyart (trumpet), Tony Woods (sax) and Tim Whitehead (sax) the audience at Newport Jazz Club were treated to a superb afternoon of music culminating in a standing ovation. With a twelve number set of mainly standards including numbers drawn from the George Gershwin (S�Wonderful) and Duke Ellington (Cotton tail and Take the A Train) songbooks there was plenty of opportunity for the front line to display their virtuosity. There were also separate showpiece numbers to separately feature the trumpets as well as the saxes. 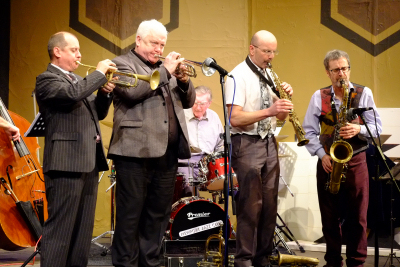 The next concert will be on Sunday 20th March when the club welcomes back the Derek Nash Quartet. Tickets can be ordered by 'phoning 730601 or Bill Wills on 523879.